The team at Had-Fab would like to welcome our new Managing Director, Greg Scott to the team. Greg brings a wealth of experience from the engineering sector to Had-Fab. We got the chance to sit down with Greg to find out a little bit about him, his career history and his plans for the future of Had-Fab. Welcome to Had-Fab, can you tell us a little bit about your career to date? I started as an Engineering Apprentice with NCR in Dundee and developed through progressively senior design and management roles gaining my engineering degree and MBA along the way and ended up as Global Product Engineering Director. NCR taught me a great deal about the importance of cross-functional integrated teams and how any venture, be it a new customer development or an internal improvement initiative, needs to take into account the needs of all stakeholders in the process. 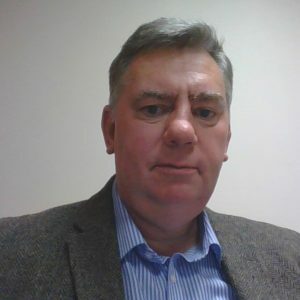 After NCR I changed direction and went into the oil and gas industry joining Oceaneering International as General Manager for Engineering in the subsea products division based out of Rosyth with responsibilities in the UK, US, Brazil and India. This was a very different industry and culture to what I had been used to but I was able to bring some rigour and structure to an organisation which had previously been very unpredictable in its performance, which was somewhat typical of that sector in those days. After 5 years I moved on to Aker Solutions in Aberdeen in the subsea products division as Vice President of Business Improvement mainly focussing on driving better financial performance through operational excellence. I also had functional leadership for HSEQ and the PMO for the Europe and Africa region. After the decline in oil and gas, I took on an interim role with Edinburgh Airport as Head of Operations which was fascinating. Obviously a very different environment again but if you lift the lid off the airport it really is just a big people processing factory so I soon got to grips with it. What attracted you to the role of Managing Director at Had-Fab? I was really excited at the prospect of getting my arms around a medium-sized company to really get a grip on it to take it forward to higher levels of performance. All I had learned in my previous roles taught me there is fantastic potential here to make a difference. All throughout my initial research and having met the people and along with the support from Simon and Jayne I am even more encouraged by the motivation and dedication of the entire team. What areas of the business are you most looking forward to working on? As Managing Director you have to look at both the top line and bottom line results and identify the key drivers to optimise both and use the power of the teams to achieve this. I think there is a great opportunity to further improve the operational effectiveness of the business to see some near-term results reflected in the bottom line performance. What I enjoy most is developing people and teams and creating an environment where staff can reach their full potential and celebrate the results. What are your goals for Had-Fab? I have the vision to grow our revenue both in our traditional design and fabrication markets, adjacent markets and also through expanding our professional services offerings such as Geotechnical. We will also drive a continuous improvement approach to our operational execution capability to convert revenue into enhanced profitability. We have a strong core customer base with a proud history of delivering excellent service. I want to build on that to ensure no customer has to think twice about engaging Had-Fab for their contracts. I think step one is to help stabilise the operation to get more predictable performance and lay down some best practice to liberate more productive capacity and also provide an enhanced customer experience. That’s a platform we can build on as we develop our market growth strategy and drive more profit for reinvestment. Can you tell us a little bit about your life outside of Had-Fab? Very much a family man with 3 sons who are all into sport, mainly rugby. As an ex player and coach myself I still keep involved but as a spectator only these days! Welcome to the team Greg!